Reception is the complex near the entrance where you and your vehicle are checked in for your stay with us. Reception is open 24 hours. At Reception your wristband will be electronically scanned to ensure it is valid. 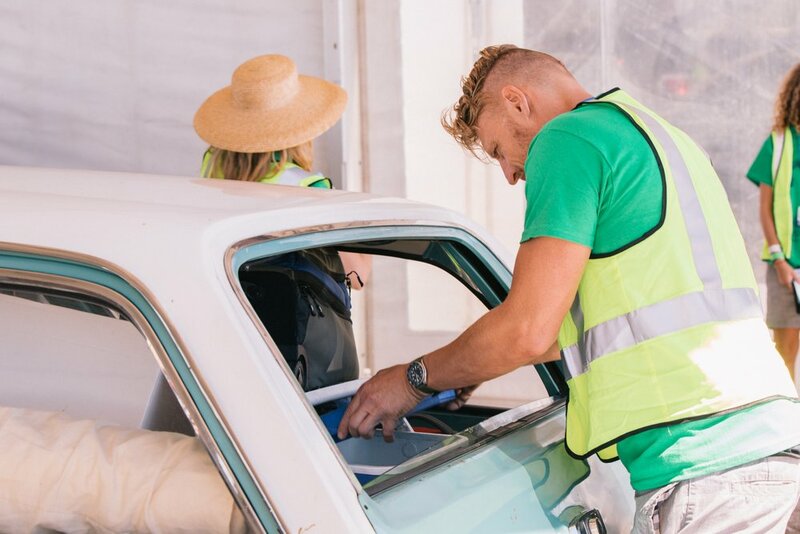 Your vehicle will be searched for glass and other banned items, like people who don’t have a wristband, who are treated as Trespassers and handed over to the Police. 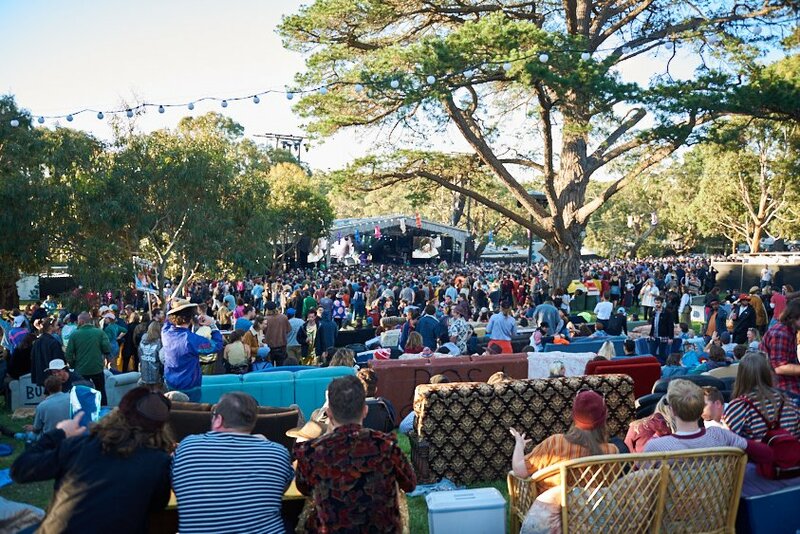 Any vehicle found harbouring or assisting a Trespasser will have ALL occupants banned from entering, whether they have valid wristbands or not. Don’t help a Trespasser or you’ll be having a boring weekend at home. All wristbands will be checked for proper application by staff. Anyways! On the brighter side, our wonderful volunteers and concierge will be on hand at Reception to greet you, hand you a free ‘Owner’s Manual’ program booklet with site map etc, some rubbish and recycling bags for your campsite and Get You On Your Way. Please don’t rely on Reception staff to answer your questions on arrival – the Pocket Companion and this website will have every piece of info you’ll need to know, then once You’re In, Helper Hut Central (Info) will help with any further enquiries. Get thru Reception as quickly and smoothly as you can – have your wristbands on from Meredith Town at the latest, be prepared to pop the boot and open any eskies, etc. If you need a passout over the weekend, make sure you stop at Reception to get your wristband scanned as you exit. God love you and thanks for coming.